They say that all good things must come to an end. Well, at least it's good to know when you can prepare for that ending. Stonemaier Games has announced the final expansion set that's going to be coming for Scythe. It's called Rise of Fenris, and it will conclude the epic tale of a World War that turned out much differently from the one that's taught in our history classes. Modular (11 modules): Instead of—or after—the campaign, the new modules in The Rise of Fenris can be used in various combinations to cater to player preferences. These modules are fully compatible with all Scythe expansions. While the exact nature of the episodes and modules will remain a mystery (some of these components are in secret tuckboxes), the components in this expansion include a detailed episodic guidebook, 13 plastic miniatures, 62 wooden tokens, 2 custom dice, 5 tiles, and 100+ cardboard tokens. 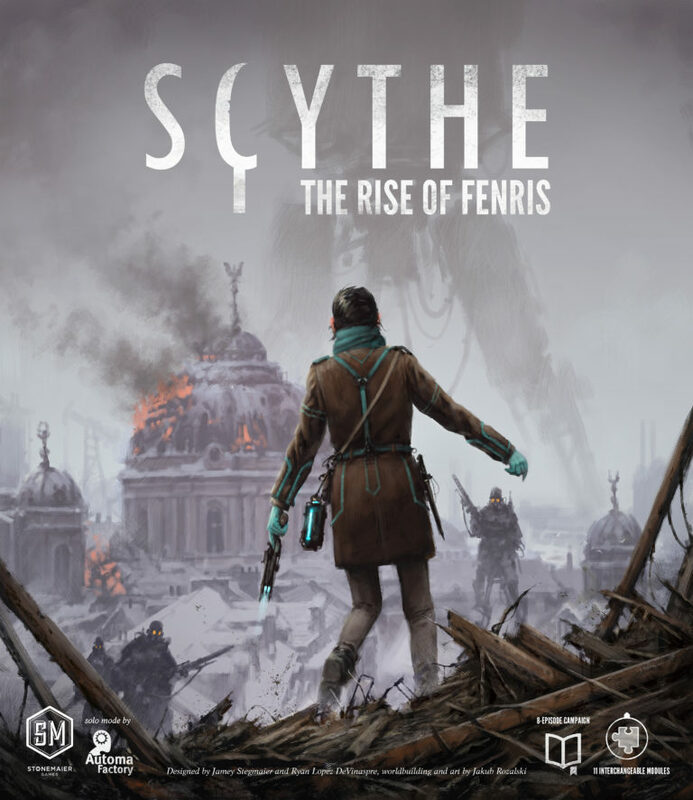 Scythe: The Rise of Fenris will be available from retailers worldwide in Q3 2018.